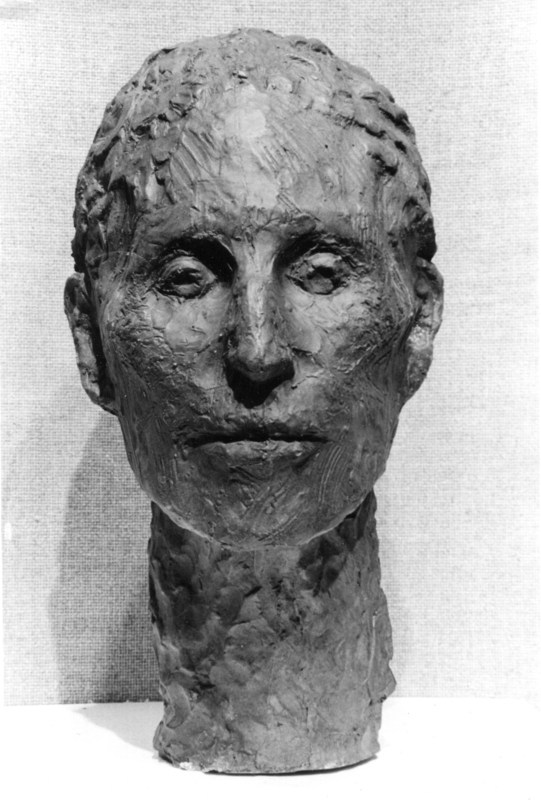 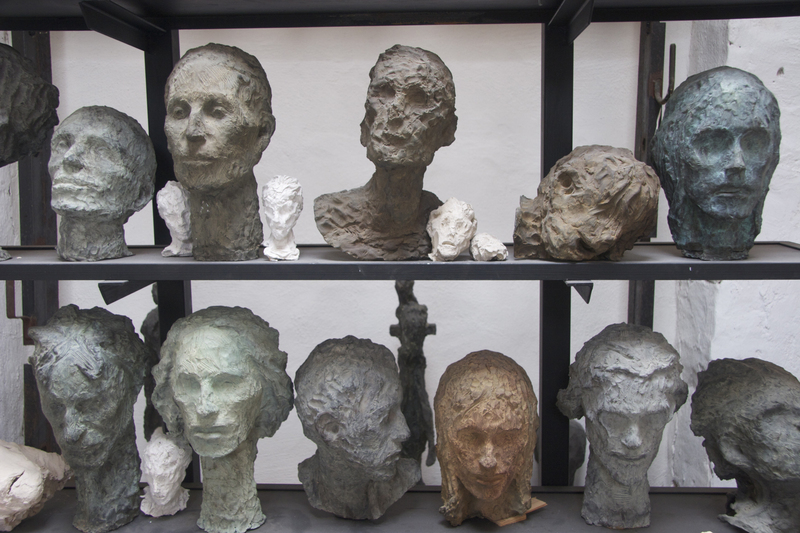 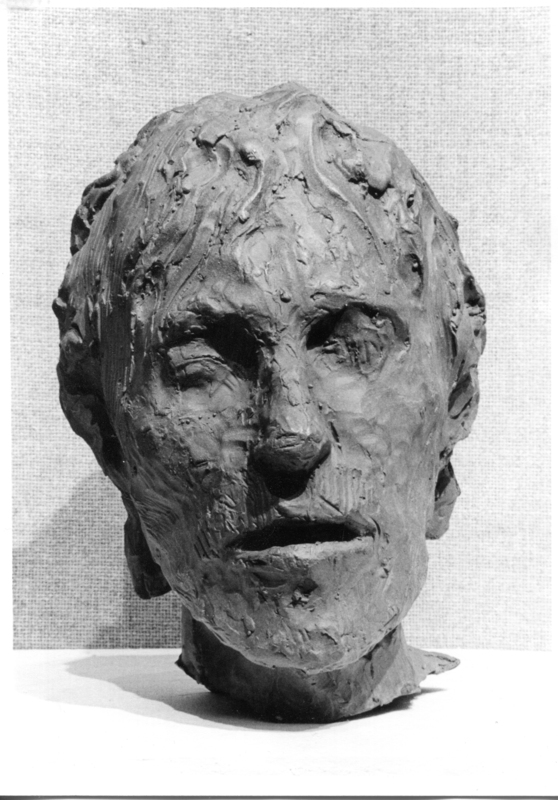 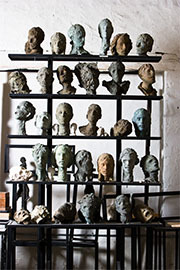 This rack is a compilation of heads done between the years 1988 and 1996, all cast in bronze. 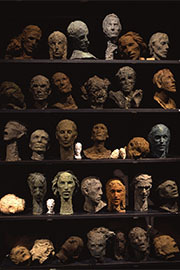 Some are free-standing heads, many others are heads off of full figures. 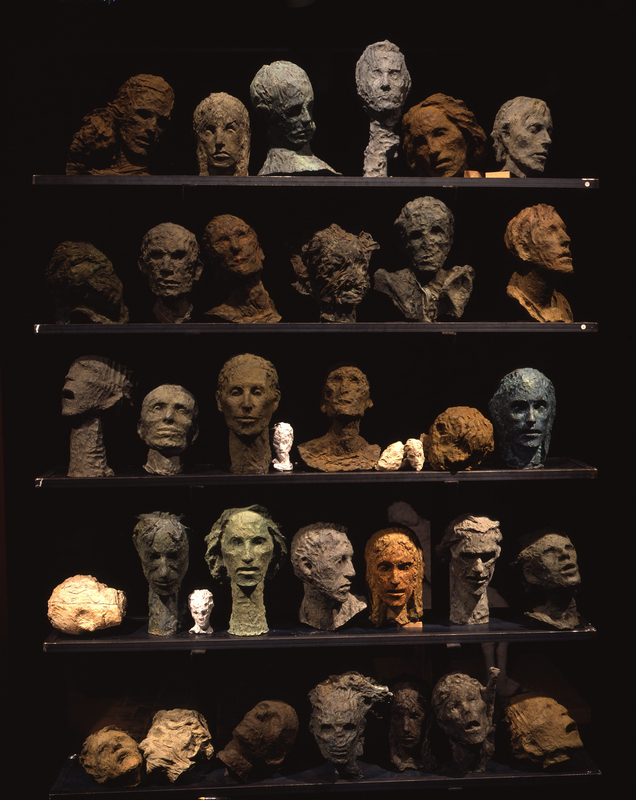 While many of these figures in plaster will not be cast in bronze in the near future because of economics concerns, some part of these figures have been collectively gathered on these shelves. One head lies before the rack on the floor, as though is has fallen. 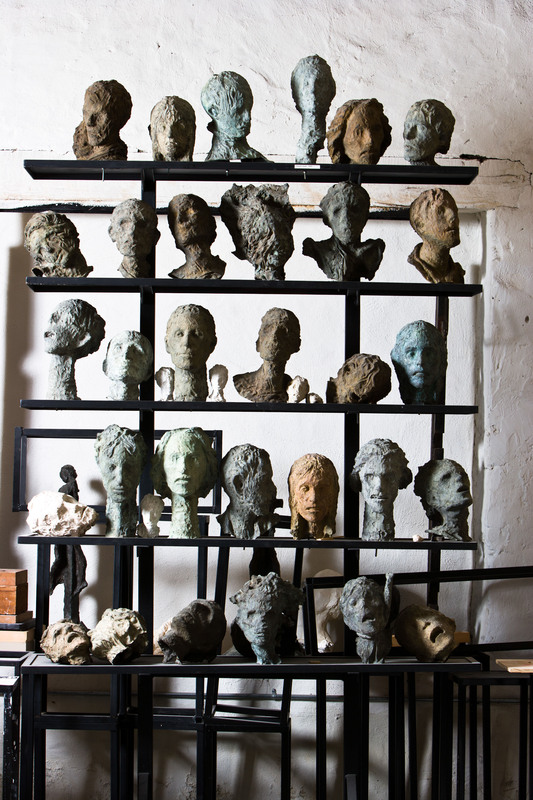 The patinas on these pieces are predominately grays, beiges, rusts and other earth tones. 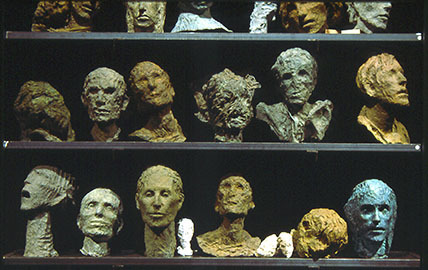 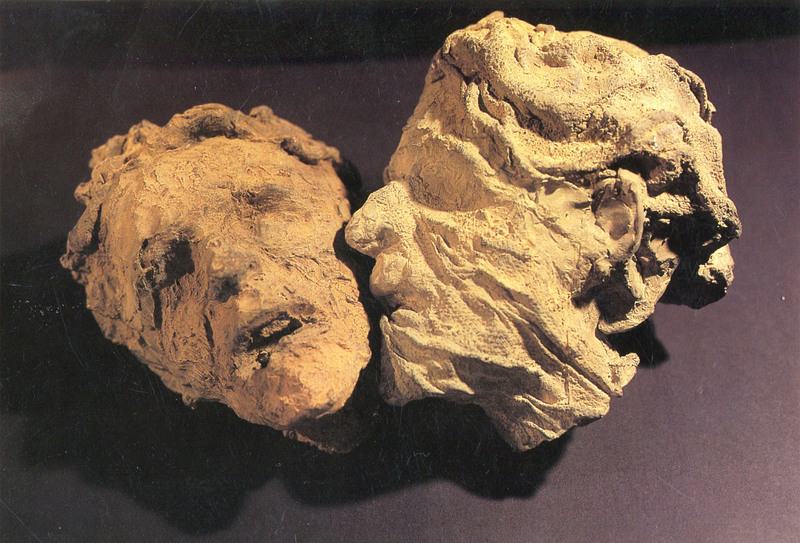 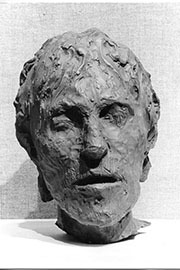 This photo shows the Rack of Heads as it was shown at Haverford College in 1996.